New numbers are expected to come out this week on the region's homelessness crisis as Seattle leaders debate how new funding from the newly passed "employee hours tax" will be used. The city of Seattle has created over 5,000 affordable housing units over the last decade, but the need is still great as thousands sleep on the streets each night. Walker says that includes the "best practice" of permanent supportive housing for chronically homeless, including those suffering from addiction or mental illness. 1811 Eastlake is an early example of the “housing first” model, a low barrier permanent housing site, without pre-conditions or time limits on how long an individual can stay. “Permanent supportive housing is absolutely the highest priority of this office,” said Walker. So, what do the numbers show? 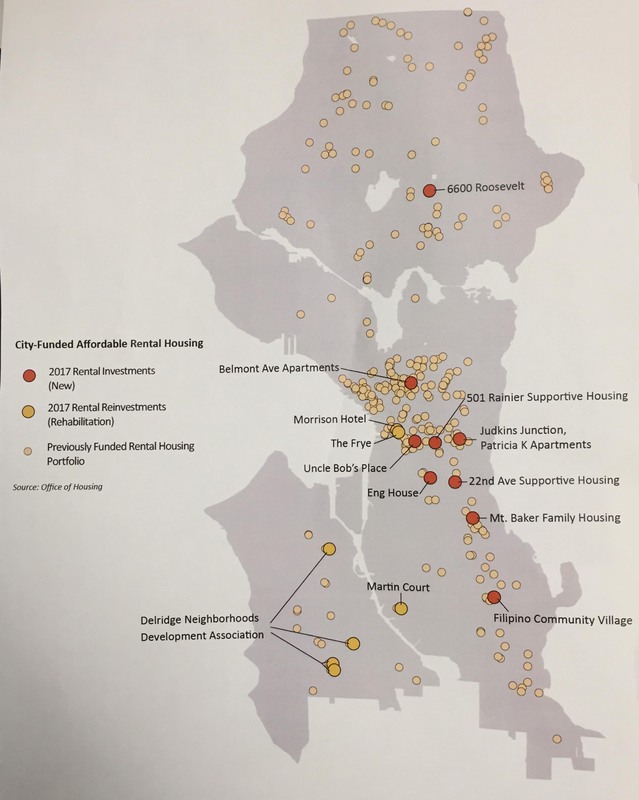 Over the past 10 years, the city of Seattle has helped fund the creation of 1,482 permanent supportive housing units at a cost of around $90 million or nearly $61,000 per unit. The city has an additional 187 units considered supported housing at a cost of $32.5 million. That's housing with services but not to the same level as the permanent supportive units. Additionally, the Office of Housing funds around 821 units for seniors and has a little more than 2,822 rent restricted units for low-wage workers. In all, those categories account for 5,312 units created over the past decade. However, the need still far outweighs the supply. The 2017 homelessness count estimated nearly 12,000 homeless in the region with the new count due out later this week. “We have a lot of demands on our resources,” said Walker when asked why the city has not made a bigger dent in solving the homelessness crisis. WATCH: Is Seattle looking at other cities to solve homeless crisis? He also cited high land and construction costs as challenges to rapidly building more permanent supportive housing, and he cautioned drawing comparisons to other cities who have made headlines for making headway on the issue of homelessness. When asked if the city is deploying too many different strategies or whether the city needs to develop a more cohesive homelessness strategy, Walker acknowledged the limitations of basic, emergency shelter. “The shelter model of mats on the floor, alone, is not an option people are willing to take. They seem to be willing to stay on the street,” said Walker. WATCH: Does Seattle have a cohesive strategy to battle homelessness? Walker says the affordable housing his office funds comes from Seattle’s Housing Levy, separate from the general fund homeless dollars have increased over the years. Seattle has allocated more than $77 million to homeless spending in its 2018 budget. The vast majority of that money is administered by the Human Services Department. RELATED: Tiny homes part of Seattle’s new homeless strategy? Funding for emergency shelter alone this year has exceeded $16,795,000. Over the past 10 years, the shelter services budget has increased almost every year, topping $92 million over the past decade.